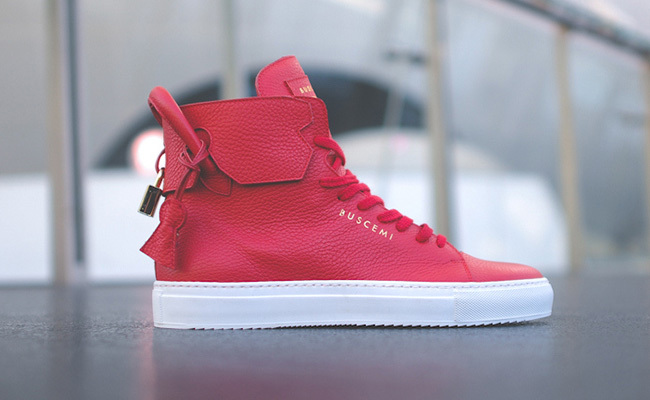 Jon Buscemi's latest luxe model is arriving now at retailers, featuring his signature designer bag handle and locket at the collar. 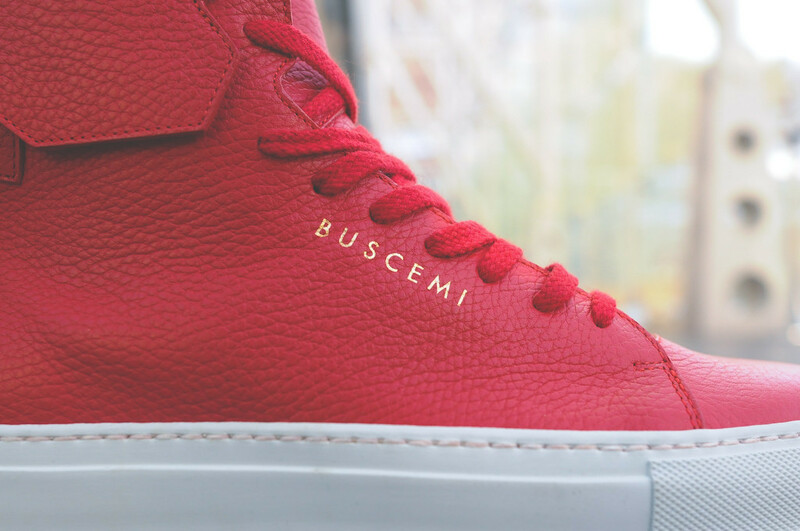 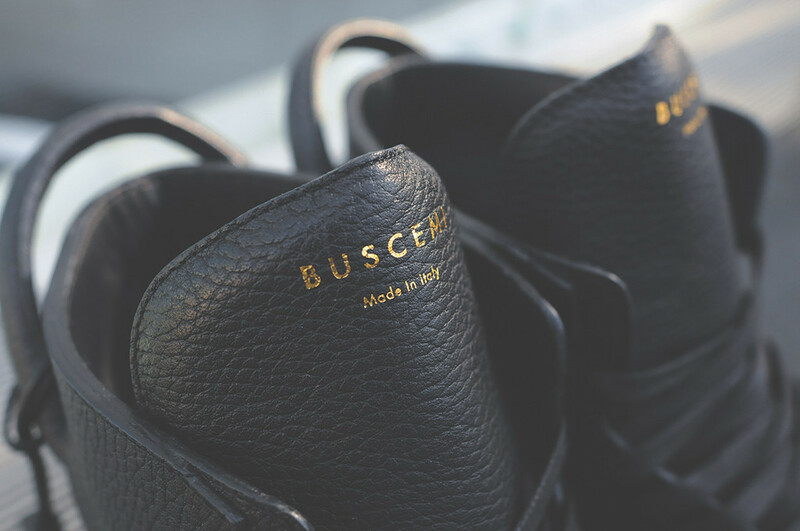 After first lauching his Birkin bag inspired high top sneakers with the 100 MM model last year, longtime footwear veteran Jon Buscemi's latest model, the 125 MM, for his namesake line is now arriving at retailers like Kith in New York. 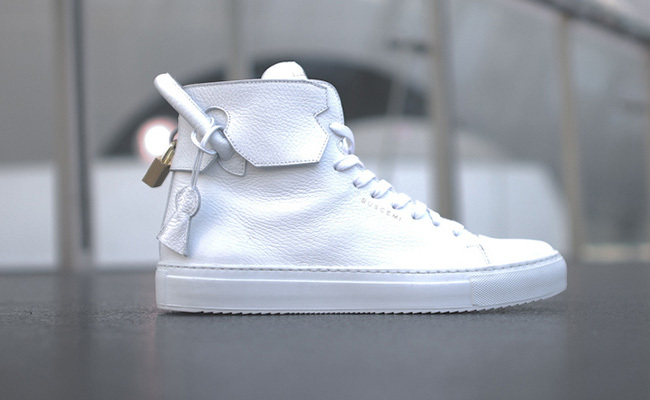 With a slightly taller height, contrasting white midsole and locket only at the heel, the 125 MM is also made in Italy with calfskin leather, a vachetta liner and insole and 18K gold plated lock. 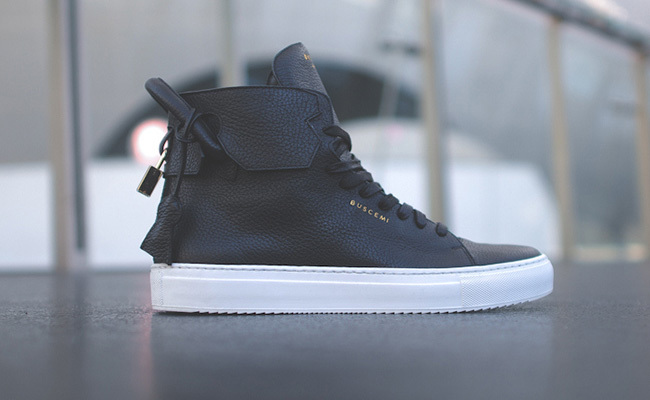 The Black, White and Red colorways seen below are out now for a cool $755.